← Semi detached crenulated house! 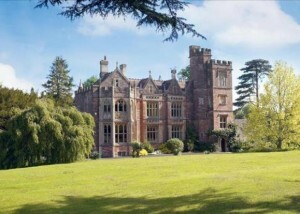 It's a Grade II* Listed Manor House - Chew Magna Manor House is stunnning from the outside and inside. It's got an amazing staircase with dark panelling and ornate fireplaces and overmantles. It's spectacular! What an amazing address it has too! Battle lane!